Post race stewards reports from recent meetings. 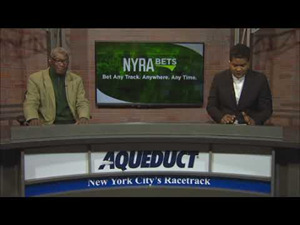 RACE 1: Cardiff - Trainer Gerald Ryan advised that he was satisfied with the post-race condition of the colt, however, Cardiff had now been spelled. RACE 6: Commentator – trainer David Payne reported that he was satisfied with the post-race condition of the gelding. 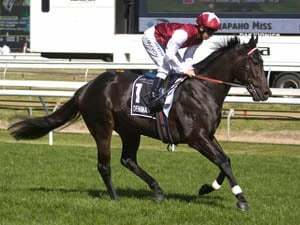 He agreed with rider Tim Clark’s explanation that Commentator was disadvantaged by the slow tempo of the race which resulted in the gelding racing keenly throughout the early and middle stages and racing in a more forward position than expected. 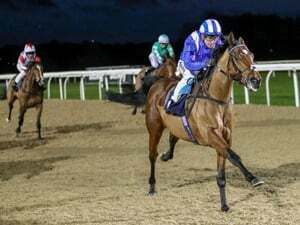 He added that he will continue with the preparation and advised that it will be his intention to have the gelding ridden conservatively at its next race start. RACE 7: Celer – when questioned regarding the disappointing performance, trainer Kim Waugh stated that Celer was not suited when the tempo quickened during the race and the gelding could not sprint with the remainder of the field approaching the home turn. Mrs Waugh advised that, whilst she could not find any abnormalities with the gelding today, Celer will be spelled immediately. Acting on this assurance, no further action was taken. RACE 1: Chelsea Reign – Co-trainer Paul Snowden advised that, whilst satisfied with its post-race condition, the filly has now been spelled. Race 4: Exoteric – stable representative Charles Duckworth advised the stable was satisfied with the post-race condition of the gelding. Race 7: Suncraze – trainer Mel O'Gorman advised the stable was satisfied with the post-race condition of the gelding, however advised Suncraze would now be spelled. Race 8: Ready To Prophet – co-trainer Adrian Bott advised the stable was satisfied with the post-race condition of the filly. RACE 6: Ribands – Stewards concluded an inquiry into the riding tactics adopted by S Guymer. In all the circumstances S Guymer was advised that his lack of vigour on this occasion in the early part of the straight was of concern to the stewards. He was also advised that his decision not to obtain a position behind Skyray at the 350m, which would have provided him with a favourable passage into the race, was a significant error of judgement. However the stewards could not be comfortably satisfied that this had a bearing upon his placing. Guymer was informed that in slightly different circumstances he may have been subject to a charge under a significant rule of racing. RACE 6: Beware – Trainer James Cummings advised that the stable was satisfied with the post-race condition of the gelding however advised Beware will be freshened up prior to its next start. RACE 1: California Concord – Co-trainer Peter Snowden advised the gelding would now be spelled. RACE 3: Repute - Co-trainer Edward Cummings advised that a full veterinary examination of Repute had not identified any reason for the lameness which had improved since its disappointing performance. Cummings advised that Repute would now be spelled and was advised the gelding would be required to barrier trial to the satisfaction of the Stewards before racing next. RACE 4: Plea Bargain – Co-trainer Robert Price advised that the gelding would now be spelled. RACE 3: Rock The World – Trainer Stirling Osland advised the filly would now be spelled. RACE 7: Dawn Dawn – Co-trainer Michael Hawkes was unable to provide an explanation for the disappointing performance of Dawn Dawn. 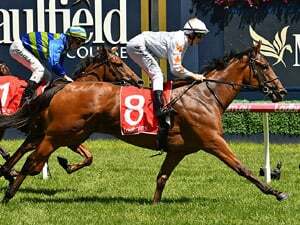 He said that he was confident with the chances of the mare having regard to Dawn Dawn encouraging performance in a Group 3 event at Caulfield on October 13. He added that whilst he was satisfied with the post-race condition of the mare, he explained that Dawn Dawn had reached the end of its short preparation and is now spelling.